If you know me or stalk me online you know that I frequent the coast of the Carolinas from Isle of Palms & Myrtle Beach, SC, to Topsail Island, to Atlantic Beach and the Outer Banks (OBX). 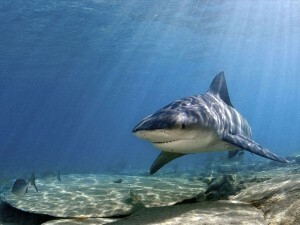 Recently, while vacationing in Topsail Island, there was a shark attack just a mile from me while I was in the water. Of course, many people are trying to make sense of these tragic events. I feel terrible that this is happening on North Carolina’s coastline; it really is normally a very fun, relaxing experience, and I’m in shock. To the right we have a bull shark. This, and more images like at are available here. Each pin on the map has a source. I have also carefully tried to place the pin on the map as close as I could to the actual shark attack. I started this map after the third attack because I couldn’t find another one like it online. Should fishing be banned? This one is quite ridiculous. I fish on the surf all the time. At Topsail Island, for example, the only thing to catch is small pan sized fish. All the good fishing ended at the end of May when the water temperatures rose. It isn’t like there are thousands of people chumming the water and reeling in fish all day long. When I surf fish in the summer I use a 1/4 piece of shrimp on a small hook. WRAL reported a shark catch. Here they have a “big catch”. A lot of people are going to see this article where someone reeled in a 5′ long shark and think “Oh my gosh! The waters are teeming with shark!”. Well guess what, the shark are always there. It’s not like these people were sitting around with 12lb test line going after Spanish Mackerel. To catch a shark like this, you need to try and have the right gear for it. Nurse shark and sand tiger shark are in the waters off the coast of NC. They kind of… live there. As an avid pier fisherman and surf fisherman I have tried to make sense of the feeding habits of fish my entire life. It is impossible. Some people like to fish at low tide, some at high tide, some when it is raining, or after a rain, or before a rain. Some people go by barometric pressure, wind speed, and water temperatures. Sometimes they bite different baits than others. When and why do they bite what they bite? Only the fish know. Of course, people will try to make sense of this with their own opinions. Here are some guesses as to why sharks bite. Why do you think the shark are biting? My family is vacationing in NC later this year, and I’d like to show them an update version of this if you have one? July 6, 2015 attack #8 occurred. I have been trying to discover the exact location but it seems they are not releasing it. I just went ahead and added it to the map. As of July 17, there have been 8 bites off of North Carolina’s coast. Feel free to share this map with them. The shark are always there and bites are rare- I am going to Surf City again shortly as well; it is usually a very quiet and beautiful beach. Stay safe!